After a good night's sleep and a few minutes deciding on a direction, I packed and headed northeast towards Fort Riley, KS before a big push west - leaving North Carolina started the big push west but now the trip is on its critical western path. Since the drive was fairly uneventful and very much similar to yesterday, I'll just treat this article as another day in a long trip reflecting some as it progresses. There were many days that started by traveling, then ending somewhere cool. You just don't know what is going to happen or where the day might end but that is how it is sometimes. The drive was uneventful and I spent the day reflecting and thinking about what lies ahead. Every day can't be filled with adventure and activities so I bit the bullet and simply put miles in again. What can I say about a drive though Oklahoma and Kansas - farms, open plains with small mid-western towns every so often. The drive itself is an interesting experience. Everything is new and I was doing what I wanted. I did notice a reoccurring theme, however, that you may experience if you travel for weeks. Every day there may be low points and high points and it can change from one moment to the next. Even a driving day has its place because in an instant things may change. I also understand that I am the orchestrator of it all - I control the path and it is up to me to make things happen. 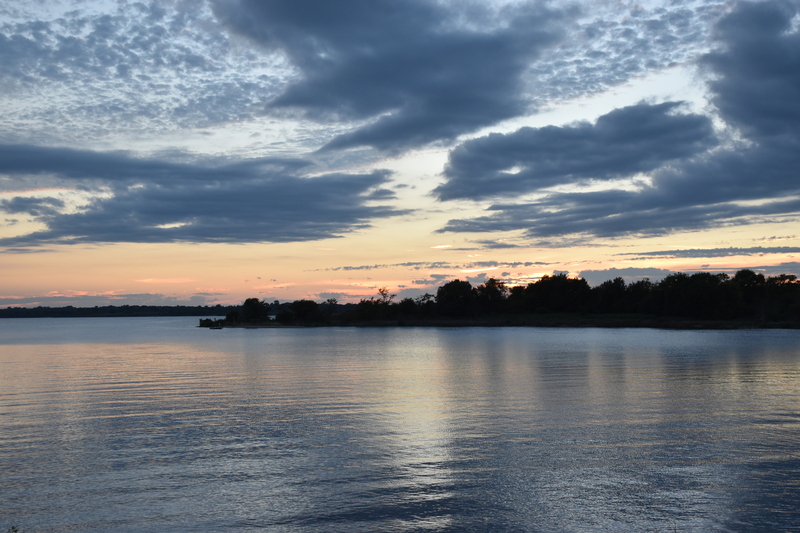 After driving through a massive storm in Wichita and exploring the town a while, I continued towards Fort Riley and eventually turned west to Milford State Park which has the state's largest lake. 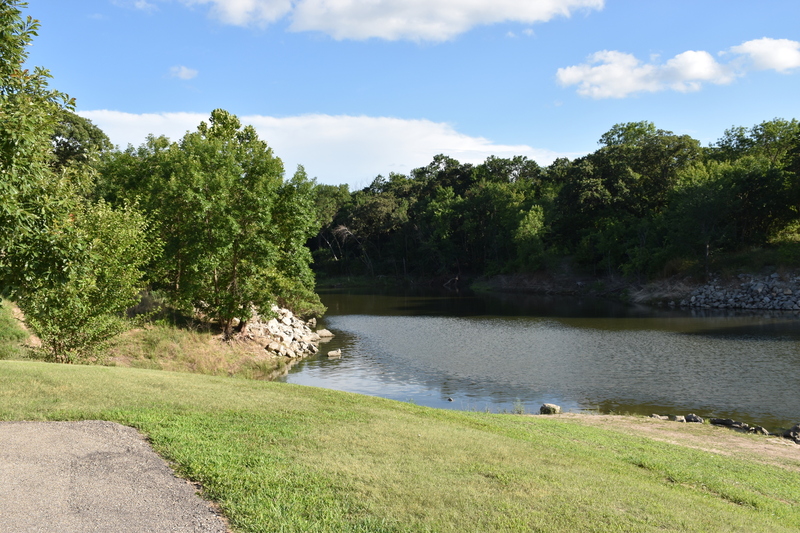 The first task was to scope out the park and find a good camping spot for the night. 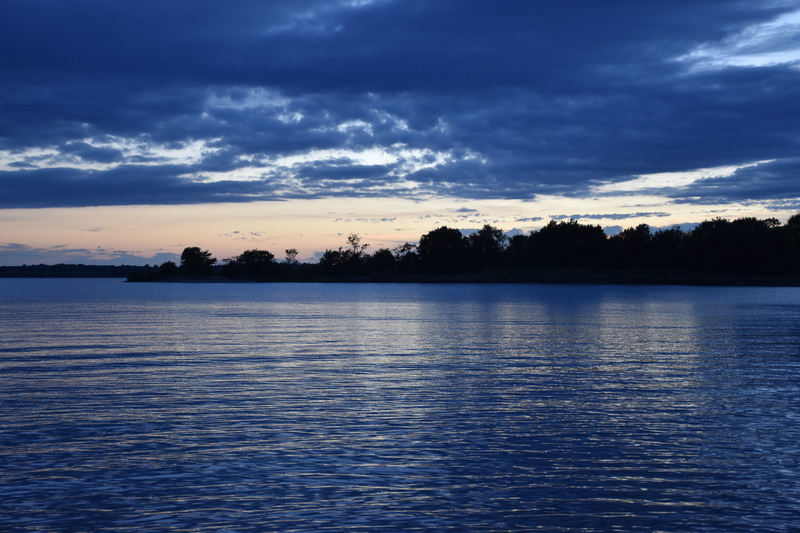 The sites are basically all good and mostly located on the lake so it wasn't difficult to choose one that satisfies my camp site expectations. The temperatures are hot but much cooler than the blistering heat of southern Oklahoma so that was a plus. I initially took this site but moved to a much better location. All the sites are practically on the water. I liked this site much better. More trees, less people and close to water. 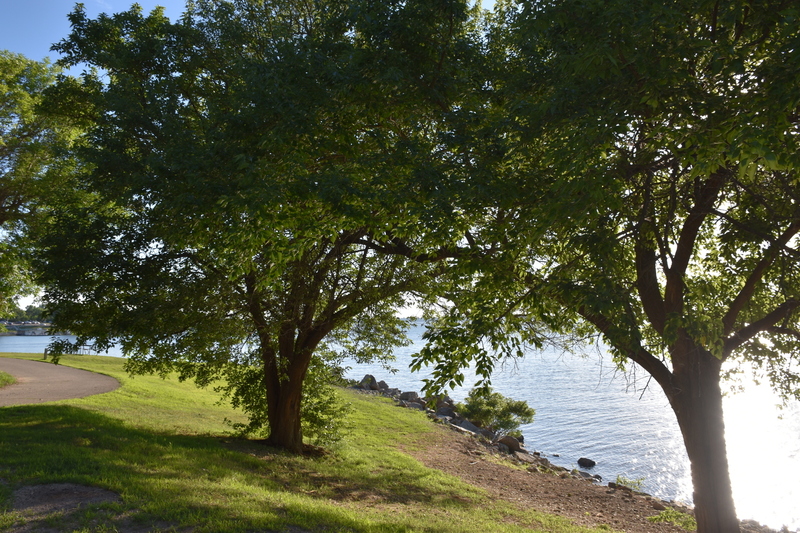 As you can see from the photos, Milford State park has good camping sites. After settling in and while exploring the park I ran into the host who was nice enough to give me enough wood for the night from leftovers found at camp sites which is awesome. This gesture struck me as a pretty cool event since I have been to camps where the hosts collect leftover wood and resell it to new campers. I always thought that was kinda rude and certainly don't want wood I leave resold. I talked with the host for a while and learned that swimming wasn't recommended because of the blue / green algae. I'm glad I found out, but fairly sure this information was posted throughout the park. Since it was late I decided head back to camp, practice taking sunset photos and expermenting with time lapse on my Gopro. 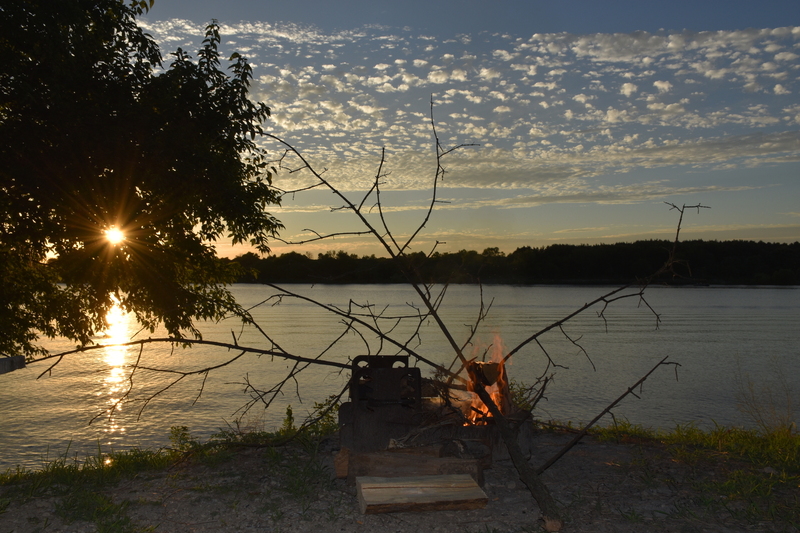 Here are a few photos and the infamous time lapse campfire video. 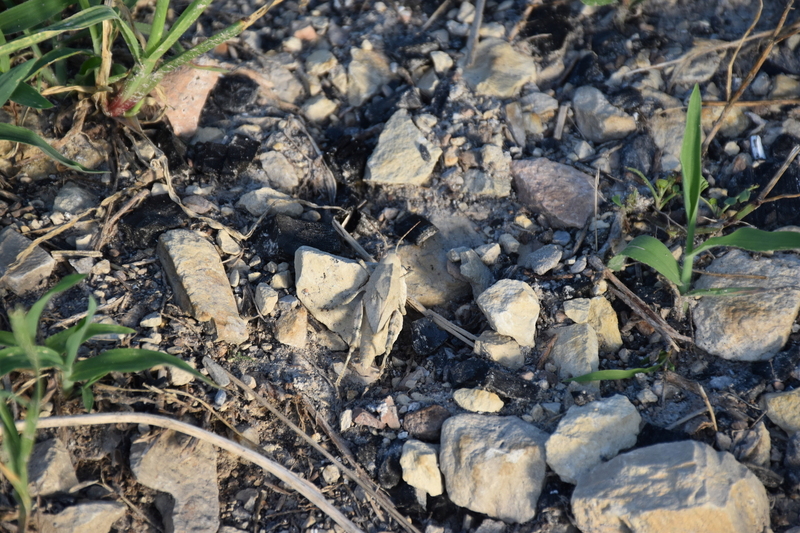 A Thalassica Grasshopper - Perfectly blending in with a granite rock. 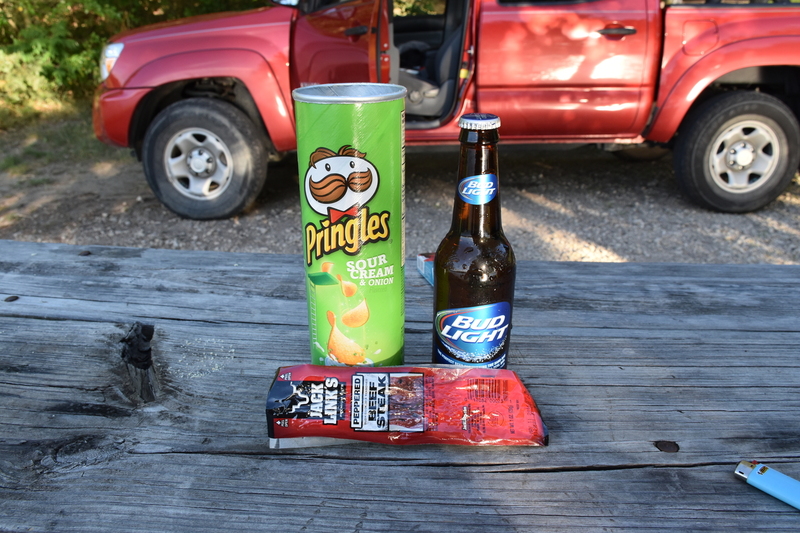 I have to admit - Beef jerky, Pringles and Bud Light were my go to for a quick dinner when I was low on food and didn't want to deal with finding more. 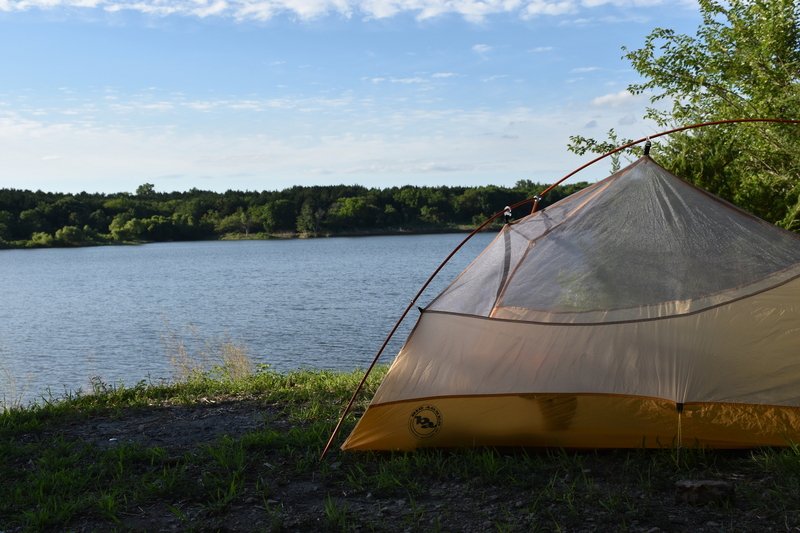 My simple setup - An Ultralight tent by Milford Lake. 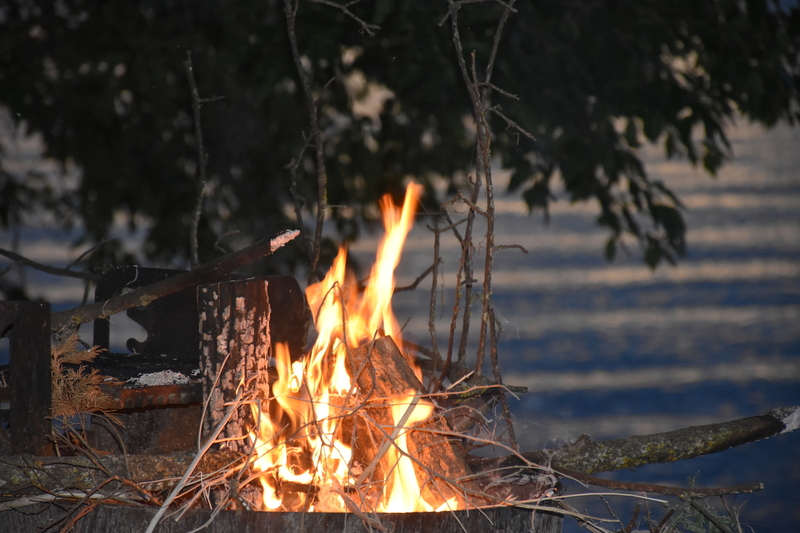 Campfire by Milford Lake I like taking photos of campfires - This one came out pretty well. 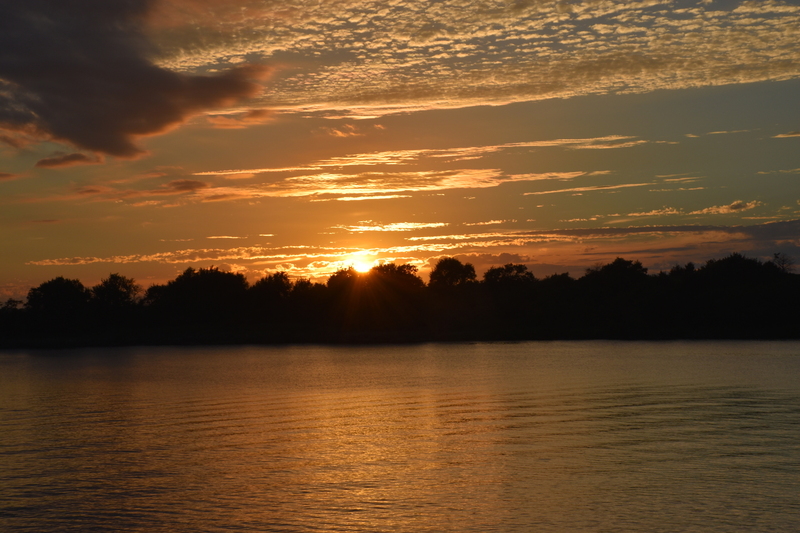 Milford Lake golden sunset - The initial sunset. The sunset lost its golden hue but started to turn more blue. A panaroamic sunset photo - Milford Lake The final sunset stage - Sweet! All is all it was a good day. I found good camping, the drive was uneventful and I was happy to be one step closer to the mountains. Although I spent most of the day driving I was happy to be on the road and lucky to be able to do so.